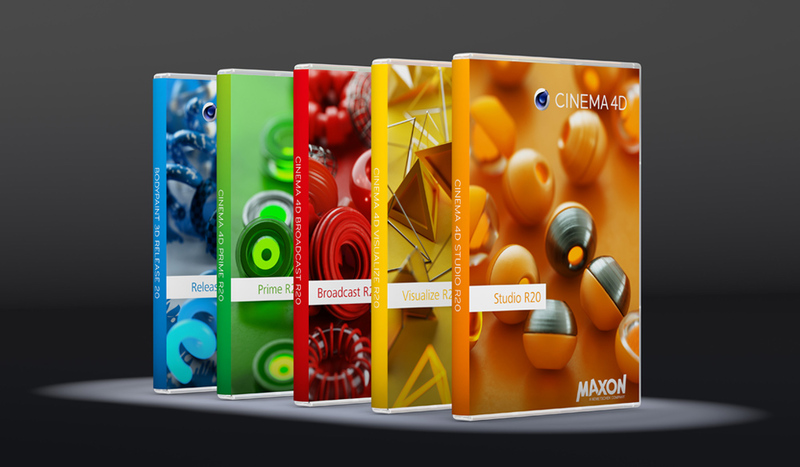 MAXON announces Release 20 of Cinema 4D featuring new tools and updates like MoGraph Fields, Node-Based Materials, Volume Modeling and more. Image via MAXON Computer GmbH / Marc Zinnecker. The latest release of Cinema 4D is here, and there are some big changes. We’re diving into what’s new, so keep an eye out for some upcoming tutorials and tune into AskGSG at 2 PM CST today to see Chris tackle R20. Cinema 4D R20 will debut live at Siggraph 2018. Join Greyscalegorilla at the MAXON Cinema 4D booth to learn from Nick, Chris, and Chad. If you can’t attend in person, you and tune into a live stream at c4dlive.com during the show, August 14-16. In the meantime, here’s what we know about the latest C4D. Cinema 4D R20 introduces new features like node-based materials, volume modeling, robust CAD import, and dramatic changes to the MoGraph toolset including Fields. Image via MAXON Computer GmbH. Fields are the most drastic new feature you’ll see in R20, offering a new way to define the strength of effects by combining falloffs. This includes shapes, shaders, sounds, objects, and formulas. You can layer Fields with standard mixing modes and remap their effects. Grouping multiple Fields can let your control effectors, deformers, weights, and more. Image via MAXON Computer GmbH / Marijn Raeven. With over 150 ready-to-use nodes, you can now create complex shading effects and materials. Those unfamiliar with node-based workflows can use the standard Material Editor, and the corresponding node materials will be creating in the background automatically. Image via MAXON Computer GmbH / Matthaeus Niedoba. Create complex models by adding or subtracting basic shapes in Boolean-type operations using the OpenVDB–based Volume Builder and Mesher. Procedurally build organic or hard-surface volumes using any Cinema 4D object, including new Field objects. Volumes can be exported in sequenced .vdb format to use in other applications and render engines that support OpenVDB. Drag and drop to import popular CAD formats (STEP, Solidworks, JT, Catia V5 and IGES) directly and seamlessly into Cinema 4D R20. Image via MAXON Computer GmbH / Guenter Nikodim. ProRender in C4D extends the GPU-rendering toolset with sub-surface scattering, motion blur, and multi-passes. In addition, the updated ProRender core supports Apple’s Metal 2 technology, out-of-core textures, and other enhancements. Here is a glimpse at R20 from Cineversity‘s Rick Barrett. Want the latest news and R20 tutorials sent straight to your inbox? Click the button below to join our R20 list. We will let you know when we post new R20 tutorials, training, news, and more! Watch the Greyscalegorilla team live at Siggraph 2018, August 14-16, from the MAXON Cinema 4D booth and on c4dlive.com. It sounds very exciting . I’m hoping it’s going to benefit the iMac Pro people in the GPU Dept. I have been reading about Apples Metal 2, and I hope it works well with it. Any one know more about it? Is MAXON ever going to add Human IK System and Control rigs for easy character animation? I’ve been waiting for this for years. None of those updates appeal to me. I won’t be renewing my MSA. Considering it is the big R20, it certainly hasn’t left me overwhelmed. Curious to see if node materials will work with X-Particles and render in Cycles 4D render engine straight out of the box. The new node based material editor is currently only supported by the Standard and Physical renderers. You’d have to ask Insydium as to whether or not they plan on supporting it. So all our plugins will die. ALL WILL cease to work. Including the ones from Grayscalegorilla. We have just released new versions of our plugins to work with R20. But generally you’re right: Pre-R20 plugins are simply not binary compatible.